FROM the five delegations of foreign governments at the first China Hi-Tech Fair (CHTF) to the 61 delegations from 41 countries and international organizations in attendance as the CHTF turns 20 this year, the international influence of the CHTF has been expanding and new contributions have been made to push forward cooperation in high technology between China and foreign countries. A Russian exhibitor introduces his air-purifiers to buyers. Sun Yuchen. Among the foreign delegations at this year’s CHTF are not only old friends, such as the Bavarian State delegation from Germany, which has been participating in the exhibition since 1999, but also some new friends making their first appearances at the fair, such as the Chilean, Cuban and Peruvian delegations. “Athens and Shenzhen are sister cities with close ties. The Greek delegation has been participating in the high-tech fair since 2011. 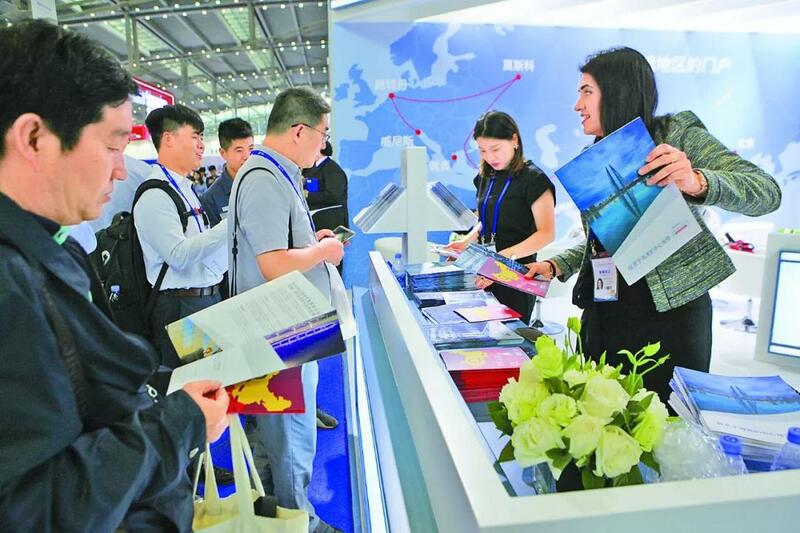 Every year we come here with new companies joining our delegation,” said Fortis Provatas, elected chairman of the Chamber of Greek-Chinese Economic Cooperation and former vice mayor of Athens. According to Provatas, the fair embraces technological changes and advancements every year, especially in the fields of IT and artificial intelligence (AI). “We see that the technology is developing quickly on television and in newspapers, but here we see what’s really going on. 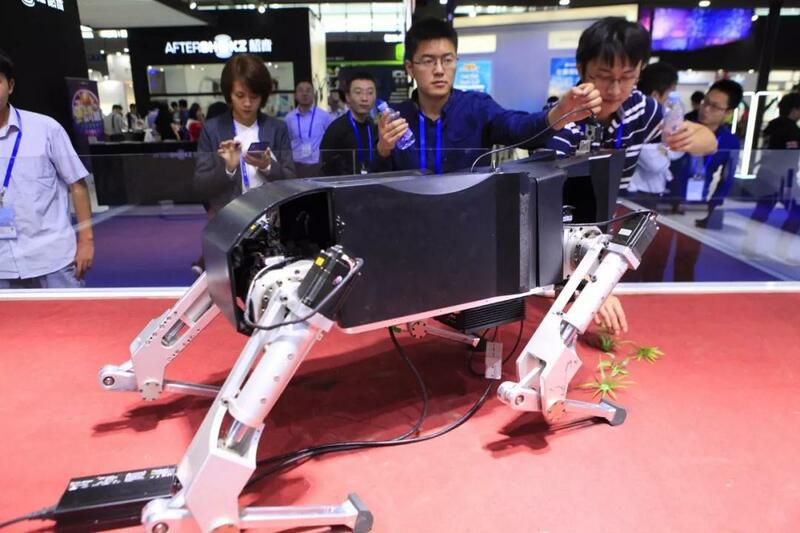 And I believe in two years, China will be ahead of the United States in AI,” Provatas told the Shenzhen Daily. This year, the Estonian delegation has brought a wide array of high-tech products and projects to the fair. “There are companies that deal with smart street lighting, AI, self-driving cars and robotics in our delegation,” said Marten Kokk, the Estonian ambassador to China. “It is amazing to see how quickly the Chinese people have adopted new technologies and it’s been fascinating to witness how China has made so much progress in IT and other new technologies,” Kokk said. According to the organizers, the number of foreign countries at this year’s CHTF has reached a record high. In addition to the countries along the “Belt and Road,” the participation of Latin American and Caribbean countries has continued to increase. Staff of the Bahrainian delegation give their brochures to visitors at the CHTF.Sun Yuchen. Yaudika Lema Rosales, a specialist from Peru’s Department of Technology, said, “It’s impressive due to the level of technologies that are being showcased,” she said. It is the first time that the Peruvian delegation has taken part in the CHTF and the Peruvian companies are looking for potential partners that can provide know-how in related technologies, said Rosales. 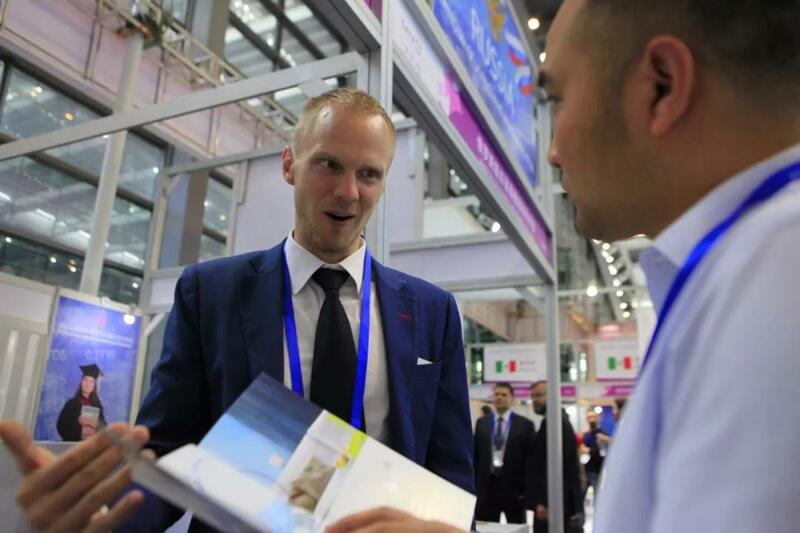 A Polish exhibitor (L) presents a product to a visitor while his colleague talks to another buyer during the China Hi-Tech Fair (CHTF) at the Shenzhen Convention and Exhibition Center on Thursday. Sun Yuchen. The Czech delegation. Sun Yuchen.